The University of Iowa Carver College of Medicine has seen improvements in students’ engagement and exam scores through the use of virtual 3D learning tools. Medical students are working with 3D interactive learning tools in order to conduct virtual 3D exploration of human anatomy. Darren Hoffman, assistant professor in the university’s department of anatomy and cell biology, explained that the blend of live dissection with a high-quality 3D model is the idea scenario for students. Using 3D anatomy tools to prepare his students for cadaver dissections has resulted in the dissections being completed quicker, and subsequently has led to improved exam performance. Hoffman said: “On comprehensive exams, scores went up for those who used these 3D anatomy tools as pre-lab prep. 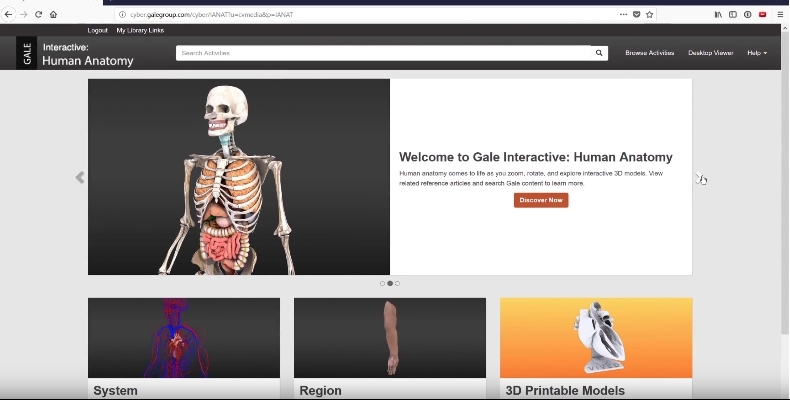 The university is currently working with Gale Interactive: Human Anatomy. More information on its implementation can be found in Hoffman’s blog post for Gale, here.